This option is only available for the Business subscribers. To be able to use it, make sure that your server meets the following conditions. 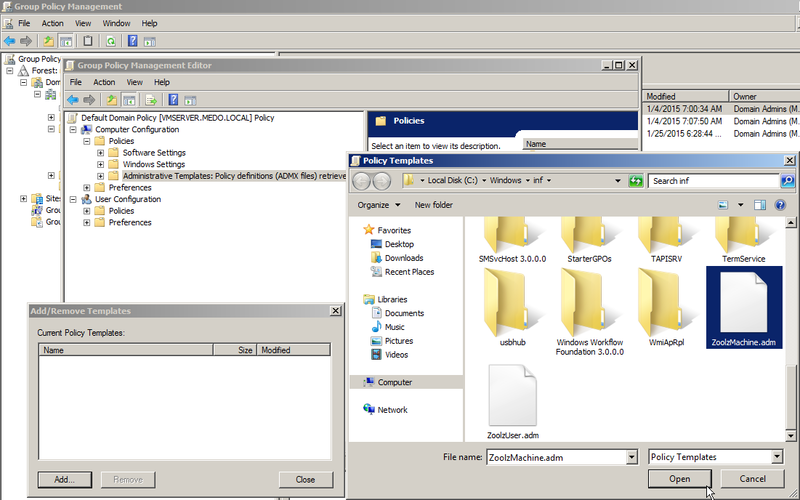 Windows Server Edition (2003 or higher), with the minimum roles and features installed and configured. 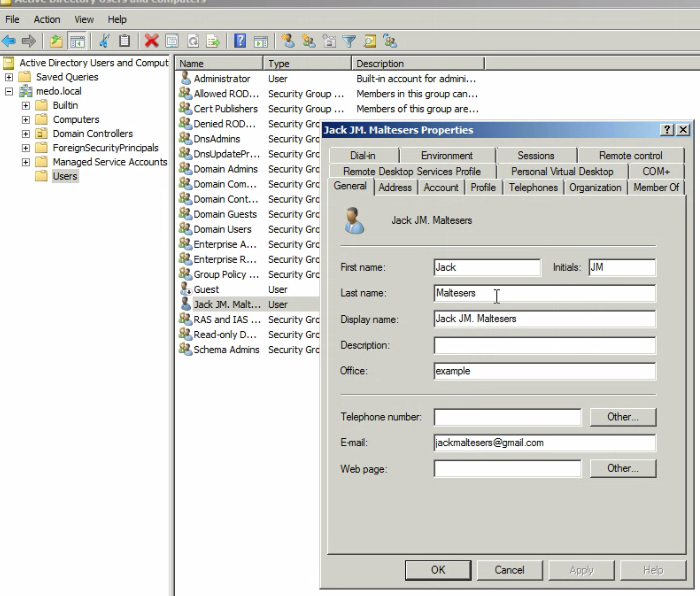 On your server, open the Active Directory Users and Computers. Refer to your domain. Under Users, make sure that all the users on your domain that you want to set Zoolz, are added there. Also, make sure that each user there has an email added for him. By double-clicking on the user’s name (If the email field was blank, Zoolz will auto-fill based on username@domain). 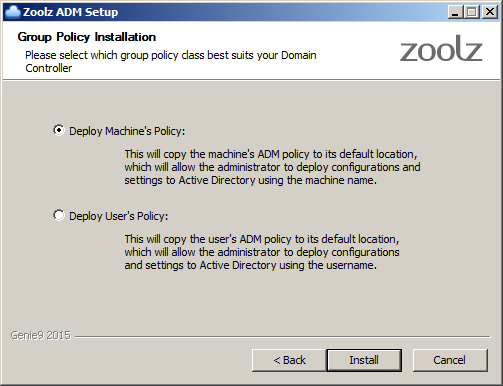 Now, run the Zoolz ADM setup, and from the window that will appear, select Deploy User’s Policy or Deploy Machine’s Policy. To understand more about their differences, please follow this link. In this example, we will use Computer Configuration. 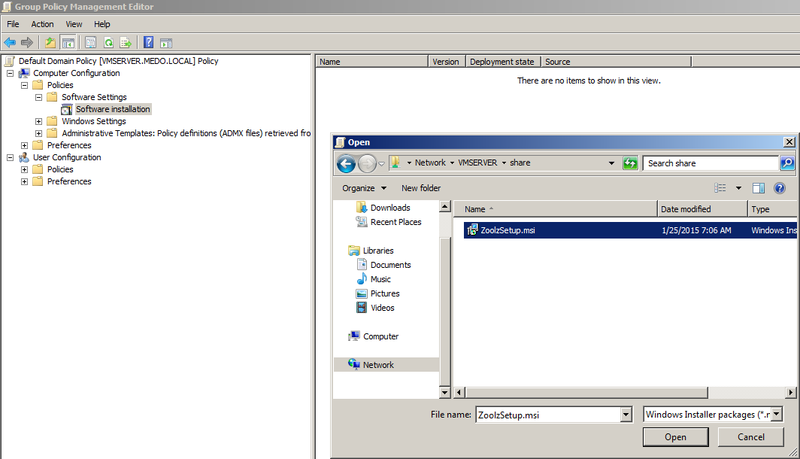 After that, open the Group Policy Management → Expand the Domains tree → Right-click the Default Domain Policy → Edit. In the Group Policy Management Editor window, go to Computer Configuration → Policies→ Right-click Administrative Templates → Add/Remote Templates. In the new dialog, press Add, and select ZoolzMachine.adm, then press Close. Now, you should see any entry in the Group Policy under Administrative Template called Classic Administrative Template (ADM). If you are using Windows 2003, you will not see this entry, instead, you should see CloudBackup entry directly underneath Administrative Templates. However, since were using Windows 2008 R2, we will need to double-click the Classic Administrative Template → Cloud Backup → Double-click Backup Settings on the right column for editing, or right-click it and select the Edit option. From the Backup Settings window that will appear, select the Enabled option. After that, copy the Deployment Token from the web (as appear in step #8 below) and fill in the Deployment Token Filed in the Backup Settings. Fill all the information in this window. You can get more information about each option from the help section at the right side of this page, or by checking this article. 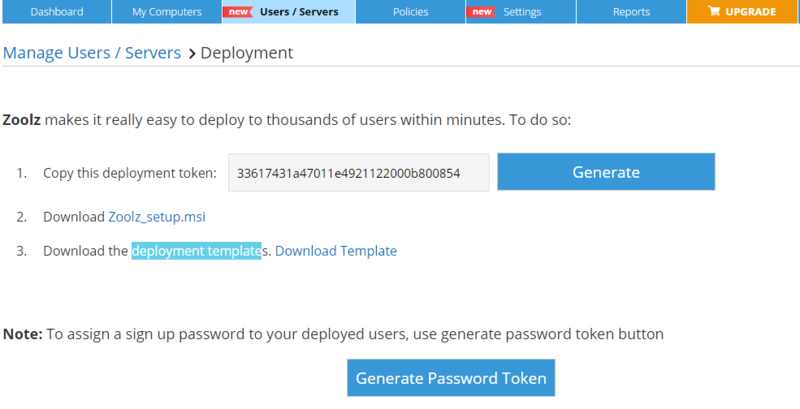 Once you finish, click Apply and then OK.
Sign in to your Zoolz online account → Go to the Users/Servers tab → Click the AD Deployment button → Download Zoolz_setup.msi and the deployment templates. Make sure that Zoolz_setup.msi is stored on a shared location that all your domain users have read permission on it. Now, the second part is pushing the MSI installer to the domain users. 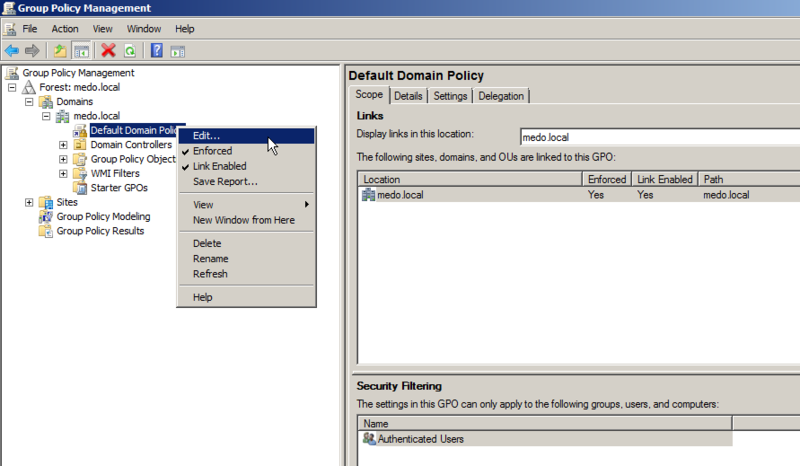 To do that, open the Group Policy Management → Expand the Domains tree → Right click the Default Domain Policy → Edit. 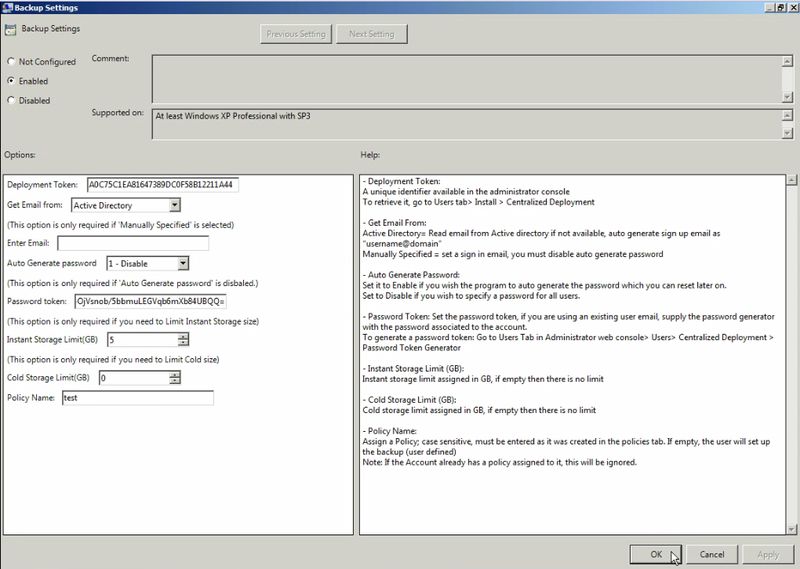 From the Group Policy Management Editor window, go to Computer Configuration → Policies → Software Settings → Software installations → Right click New → Package. Browse to the location of the Zoolz_setup.msi from UNC path save the changes, select it press Open → and keep press Assigned as default in the next dialog. This .msi installation will be pushed to all users on your domain, along with Zoolz settings. On your server, open the Active Directory Users and Computers → Refer to your domain → Under Users, make sure that all the users on your domain that you want to set BigMIND for them are added there. Also, make sure that each user there has an email added for him, by double-clicking on the user’s name (If the email field was blank, BigMIND will auto-fill based on username@domain). 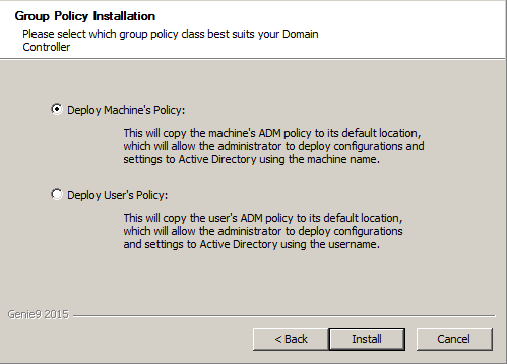 Now, run the BigMIND ADM setup, and from the window that will appear, select Deploy User’s Policy or Deploy Machine’s Policy. To understand more about their differences, please follow this link. In this example, we will use Computer Configuration. In the new dialog, press Add, and select BigMINDMachine.adm, then press Close. Sign in to your BigMIND online account → Go to the Users/Servers page→ Click the AD Deployment button → Click the Download BigMIND_Setup.msi and the Download Templates buttons. Make sure that BigMINDSetup.msi is stored on a shared location that all your domain users have read permission on it. Browse to the location of the BigMINDSetup.msi from UNC path save the changes, select it press Open → and keep press Assigned as default in the next dialog. This .msi installation will be pushed to all users on your domain, along with BigMIND settings.